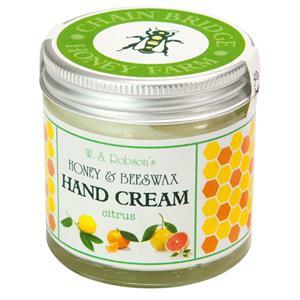 This is an intensively nourishing, natural balm designed to soften and soothe hard skin on the palms and fingertips. 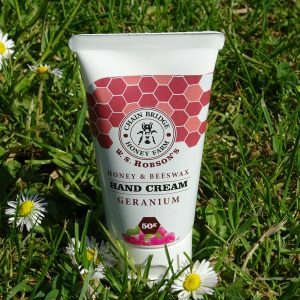 It is made with 100% natural ingredients and requires gentle working into the skin to do its job. 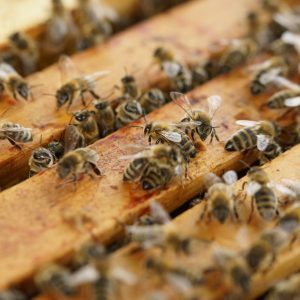 Our hand balm is packed with honey (10%) – with its well documented natural healing qualities and beeswax, along with enriching sweet almond, safflower and oat oils. Oat oil in particular is especially beneficial to the skin, providing excellent softening, emollient and hydrating properties. 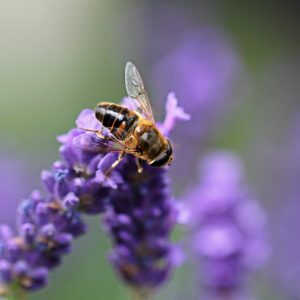 The addition of vitamin E provides a powerful antioxidant. 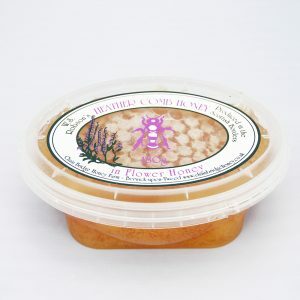 It is fragranced with the relaxing, calming scent of essential oil of lavender. 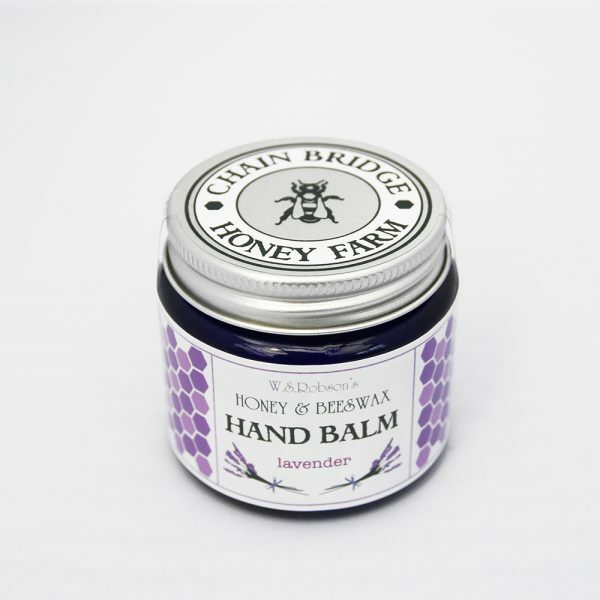 Our hand balm certainly is nature’s answer to hard working hands. Use sparingly but frequently to restore dry hands to tip-top condition. 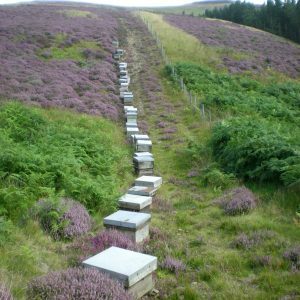 Cut heather comb honey surrounded with delicious clear wildflower blossom honey.